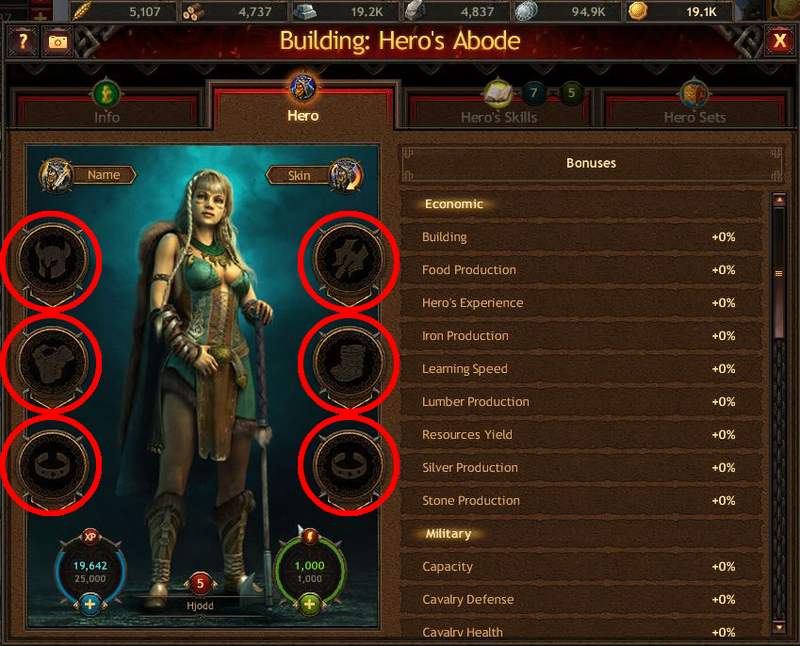 Each Hero has a number of slots for specific equipment: Armor, Helmet, Weapons, Boots and Amulet. These items will boost the combat stats of the Hero and the troops they lead. Gems and runes increase the Hero’s equipment bonuses. You may carry out the inlay process in the Workshop.